One of the best known metal acts from Baltic States, Neglected Fields rose out of the ashes of local bands in fall of 1995, with the initial line-up Sergey "Destruction" (vocals, guitars), Herman (guitars), Sergey (bass), Karlis (drums). 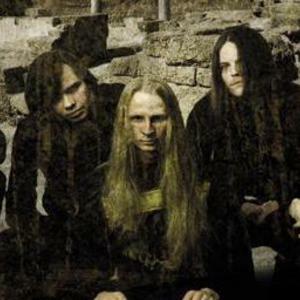 The new band traveled to neighbouring country Estonia, where in Townhall Studio in Tallinn the first demo "Sansara" was recorded in spring of 1996, containing four tracks of intense technical death metal with a strong influence from Death, Cynic, Atheist and Carcass, and a light touch of beautiful soprano co-leads from session vocalist Rasa. It quickly made its way into many European magazines and, thanks to successful promotional campaign, "Sansara" received multiple rave reviews in European metal press, receiving the "Demo of the Month" title in Aardschock (The Netherlands), Extreme (Germany), Eternity (Germany), Vampiria (Italy)). Soon after that the band received numerous offers to release the debut CD, while the band enjoyed successful gigs all around the Baltic States, including in Death Comes 6 festival in Vilnius, supporting Therion in front of 1500 fans.